The new Firearms Regulations set out incredibly complex storage requirements, based on the number and type of firearms you have. However, most licence holders will only be storing a few category A and B firearms. For those licence holders, this is a simple explanation of what you need to do to ensure that your store your firearms and ammunition in accordance with the Regulations. Some firearms users currently have a safe that has only 1.6mm sides and door. Provided you were using the 1.6mm safe prior to 1 July 2017, the Regulations give you a 12 month grace period to continue using that safe. During the next 12 months, you must write to the Firearms Registrar asking that your safe be classified as a “prescribed safe”. Once you have received written permission from the Registrar your 1.6mm gun safe will be classified as a “prescribed safe” and you can continue to use it to store your firearms after 1 July 2018. If you don’t get permission from the Registrar to continue using the safe, then as of 1 July 2018, it will be illegal to store firearms in the safe. I have prepared a precedent letter to the Firearms Registrar asking that your safe be declared a “prescribed safe”. If you call or message me, I can provide you with a copy of that precedent letter at no charge. Remember that this only applies to the storage of less than 20 Category A and B firearms. Once you want to store more than 20 firearms, or you have Category C, D, H or P firearms, then a Level 1 safe or a “prescribed safe” will not be compliant. The penalties for failing to store firearms correctly is equally complicated. The simple answer is that any offence that breaches the Code of Practice carries a fine or imprisonment. It will be very difficult to avoid a conviction, and once you have been found guilty of a breach of the Code, then the Firearms Branch will investigate whether you are a “fit and proper person” to hold a licence. When the ammunition is not being used, it must be stored at the person’s principal place of residence or, if the ammunition is used for the person’s business, at the person’s principal place of business. You need approval from the Registrar to store it elsewhere. The penalty for failing to store ammunition properly will, for most firearms users, be an expiation notice. This is one of the very few offences that can be expiated. While you don’t get a conviction for expiating an offence, the Firearms Branch can still investigate whether you are a “fit and proper person”. Remember, if you think you have a 1.6mm thick safe that is not compliant, contact me and I will give you a precedent letter to send to the Firearms Registrar to get authority to continue using that safe. 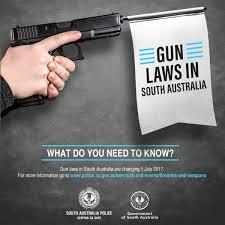 If you haven’t done this by 30 June 2018, it will be illegal to store firearms in your gun safe.